The new Texas SpaceX site near Brownsville will be the first privately-owned vertical launch rocket facility in the world. SpaceX has finally chosen the site for its new vertical rocket launch facility, and The Lone Star State is the lucky winner. The Elon Musk-owned, Southern California-based space rocket designer-builder will build the world's first privately-owned, vertical rocket-friendly spaceport in Boca Chica Beach in South Texas, near the city of Brownsville. The announcement comes after Texas Governor Rick Perry, and the state legislature promised incentive cash for the project. Those funds come in to the tune of $2.3 million from the Texas Enterprise Fund, $13 million from the SpacePort Trust Fund, and an additional $5 million from local Texas government entities. 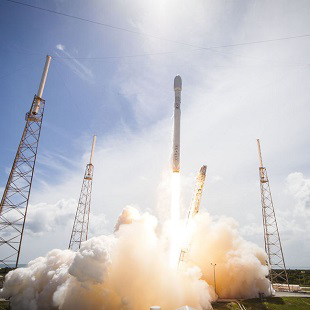 "Texas has been on the forefront of our nation's space exploration efforts for decades, so it is fitting that SpaceX has chosen our state as they expand the frontiers of commercial space flight," said Governor Perry in a statement on his office's official website. "In addition to growing the aerospace industry in Texas, SpaceX's facility will provide myriad opportunities for STEM education in South Texas, and inspire a new generation of Texas engineers and innovators." "STEM education" refers to science, technology, engineering, and mathematics efforts in public school classes in the United States. Georgia, Florida, and Puerto Rico were also being considered for the new facility before Musk and Co. chose Texas. SpaceX, which launched its latest Falcon 9 rocket earlier today, expects to bring $85 million in investment dollars to its new launch home. Approximately 300 new jobs will come from the site as well. Brownsville is infamously known as the poorest city in America, so here's hoping the new launch site will inject some much needed capital and resources into the region.